Democrats War on Dogs | can i just finish my waffle? After his mother married Soetoro, Obama lived in Indonesia from 1967 until 1971, from roughly the age of 6 through 10. I’m thinking obama probably ate more snake and grasshopper than dog…..yum crunchy…..since he seems to have taken on the attributes of the snake. But he does like his hot dogs. 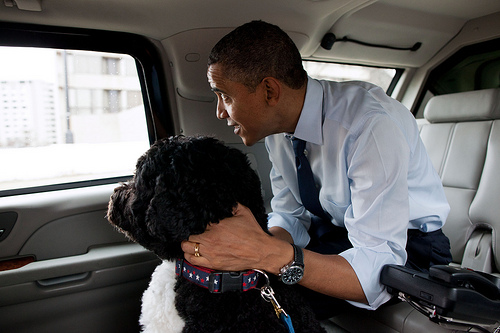 The democrats started this dog war by harping on Romney’s dog travelling on top of his car. Now they get it back and it looks foolish. How long will it be before they insist that the republicans started it and they need to stop? It’s not as much fun, is it, when you get what you dish out? And if you don’t think the MSM is biased in favor of obama, watch and see how many times Diane Sawyer brings up “obama eats dog meat” as she asked the Romney’s about their dog.